DJ software mixxx updates, adds Beta build - OMG! Ubuntu! 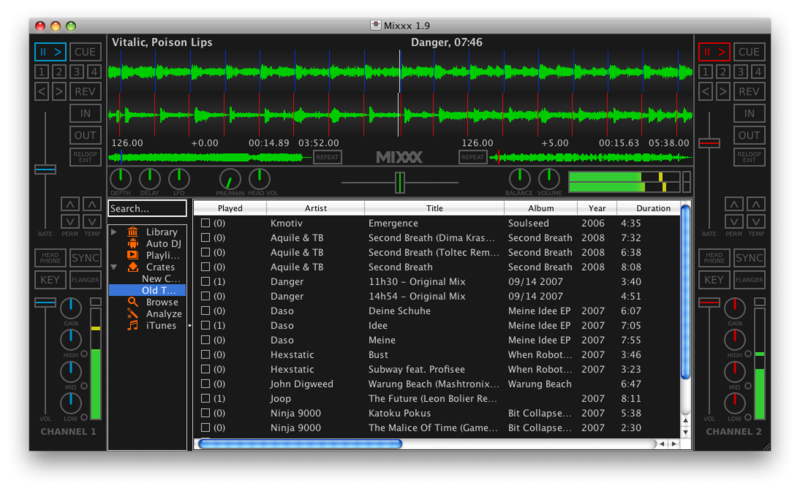 Open-source Live DJ software Mixxx, developed by a community of DJ’s, saw the first beta release in its 1.9.0 cycle released alongside an update to version 1.8.x. This update to the stable branch of Mixxx sees a routine round of bug fixes, performance improvements and the same MIDI mapping updates present in the 1.9.0 beta. Mixxx 1.9.0 comes with a new library format that will auto-upgrade your old one but will not be backwards compatible with Mixxx 1.8.1. So take note. The developers ‘do not recommend using beta software for live performance because there will be bugs’ so any sets you might mash up with Mixxx 1.9.0 are best contained to your bedroom for now. to increase security. The old repository is still online for now, but Ubuntu users will have to follow the instructions on our downloads page (click the Ubuntu download link) to get the new versions of Mixxx we’ve just released.